TMCOMAS has received a new recognition. On this occasion, by the hand of the trade association PIMEC Girona, which has organized an act on recognition to the companies that have been associated for more years. Among them, there is TMCOMAS, which whit more than 60 years of experience, has already been consolidated as a company reference of the region. This initiative, which seeks to value associativism and facilitate the encounter and communication between entrepreneurs in the area, has brought together a total of eleven companies and emblematic entities of the Girona demarcation from different sectors. 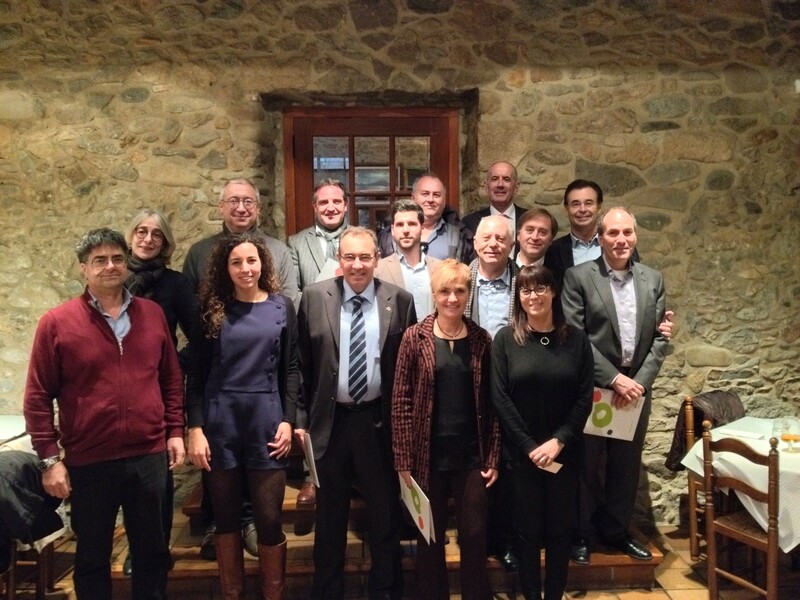 TMCOMAS CEO, Llorenç Comas, among the participants of the PIMEC Girona act. Thus, apart from TMCOMAS – specializing in surface engineering, precision mechanics, laser cladding and thermal projection, etc. – other companies have also attended to the event such as Burés Profesional; Bicicletas Esteve; Transports Porqueres; Associació Gironina d’Empresàries; Ambisist Productes de Neteja; Girona Centre Eix Comercial; Industrias Cerámicas Brancós; Fibran; Carrocerías Ayats y Félix Ribera e hijos. On this meeting they have also analyzed aspects of the current economy situation on the region and to share some of the issues that concern the most at the companies. To close the ceremony, the president of PIMEC, Pere Cornellà, thanked the loyalty and trust that the companies have deposited during all these years on the trade association and has delivered a diploma of recognition to each of the participants.